These mixes are based on AMG's Best Albums Of 2018 reviews, and tracks from most of the reviewed albums are featured. Dive in for 6 hours of lovingly edited and mixed mind-expanding music. 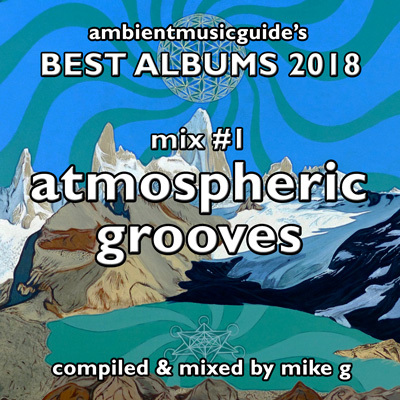 Mix #1: Atmospheric Grooves is nearly 3 hours of mind-expanding ambient techno/trance, downtempo, lounge, psychill, Balearic, trip-hop, downtempo breaks, Krautrock, ambient dub, post-rock and more. 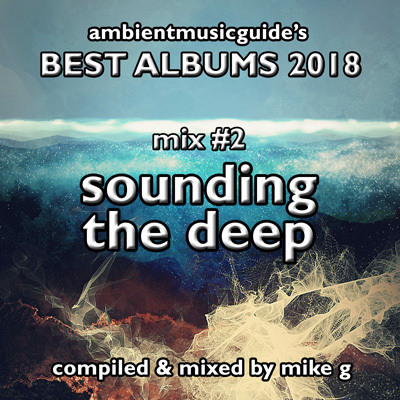 Mix #2: Sounding The Deep is 3 hours of some of the most beautiful, mysterious, deep and profound music released in 2018. Mind-expanding ambient, drone, modern classical, spacemusic, new age, environmental, psyambient, ambient techno, post-rock and more. Compiled & mixed by Mike G at Rubycon Sound, Oct-Nov 2018.